An all-around athlete who enjoys many sports and recreational activities, Lynn received a Communications degree from Rutgers University. She earned a four-year scholarship as a softball pitcher for the Division 1 Lady Knights and competed in two Collegiate World Series. After graduating, Lynn landed her first job in academia at Manhattanville College in Purchase, New York, where she publicized the college’s 14 teams and its student-athletes. Four years later in the 1980s she headed north to Dartmouth College in Hanover. “Dartmouth was my first glimpse of the Upper Valley and Quechee, and I thought wow this is a truly beautiful place to be. To this day I don’t tire of the natural beauty we are surrounded by,” she says. Among her many job responsibilities at Dartmouth, she wrote stories and photographed the athletic teams. Through the lens of her camera, she captured student-athletes – from a shell at early dawn on the Connecticut River with the crew teams to the sidelines and end zones on Saturday’s with Big Green Football. After four years in Hanover, Lynn took a position at a sports marketing agency in Connecticut, the state where she was born and raised. With her colleagues she helped build marketing programs for brands including IBM, Warner-Lambert, and STATS, Inc., which took her to many major league ballparks and allowed her to work alongside some of the game’s greatest ballplayers like Derek Jeter, Brooks Robinson, Cal Ripken, Goose Gossage, and Rollie Fingers, to name a few. Always looking to branch out, she expanded beyond sports to join an advertising and public relations agency in New Haven, CT, where she managed a variety of accounts including Verizon Wireless’ Northeast region. She expanded the company’s business, which led to opening a Boston office on Newbury Street and worked her way up to vice president of Public Relations – all while earning her MBA. When a corporate position presented itself at Spalding Sports Worldwide in the early 2000s, Lynn thought it would be an ideal opportunity to round out her portfolio of experience. She led the public relations efforts there and was responsible for the golf and sporting goods business portfolios. When the company was eventually sold to Callaway, who purchased the golf assets and Russell Athletics, who acquired the sporting goods portfolio, Lynn helped formulate the communications. 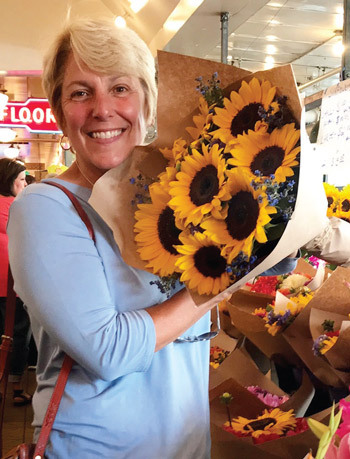 When presented an opportunity to relocate to the West Coast (Callaway’s Carlsbad Headquarters), she felt her experiences and Rolodex were robust enough to start her own business in a region she was most familiar and comfortable in, New England. In 2005, she started L2 Communications in West Hartford, CT, with Spalding signing on as her first client. In the 13 years, she noted some plum assignments; one came within six months when she was asked to represent a real estate developer who purchased the St. Andrews Grand Hotel in Scotland. “That project was memorable because it was held during the week of the [British] Open Championship in the storied backdrop of St. Andrews,” she says. “To see Tom Watson and Jack Nicklaus walk across the Swilcan Bridge at what was Jack’s last Open Championship was special,” Lynn recalls. Today Lynn along with her wife, Donna LaFleur, has established a work-life balance in Quechee. The couple, who struck up a friendship 30 years ago when Lynn first moved to the Upper Valley, has lived in Quechee full-time for four years after Donna retired from Yale New Haven Hospital in New Haven, CT. For 15 years they commuted on weekends between homes in West Hartford, CT, during the week and Quechee on weekends, and for holiday getaways. They agreed they wanted to settle on one community and one home and it was Quechee, and they have never looked back. Both are equally involved in community activities serving on local boards and volunteering for a number of organizations. 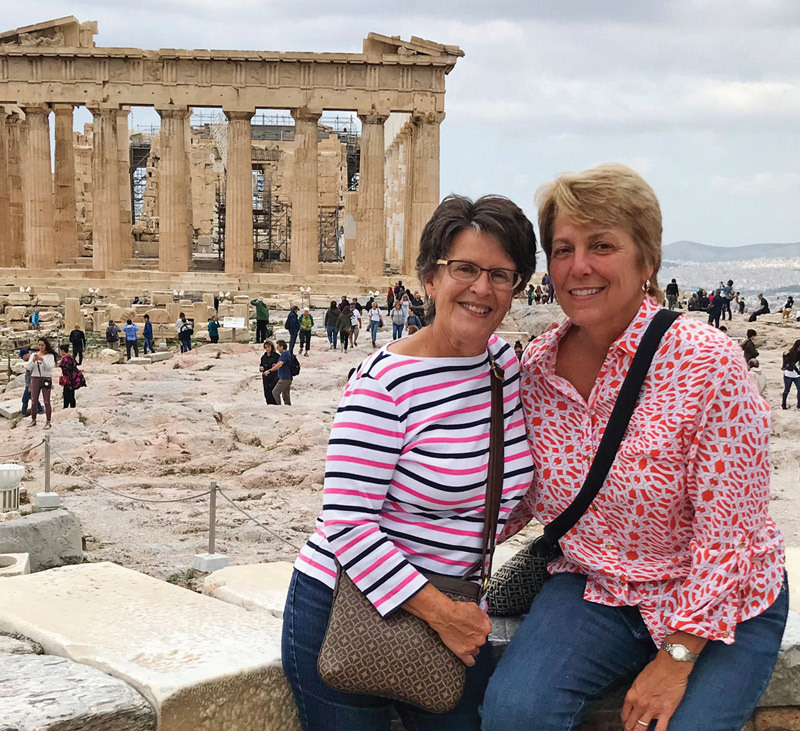 Lynn is a board member of the Hartford Area Chamber of Commerce and a mentor who has volunteered with SCORE in Lebanon, advising entrepreneurs and small business owners. Prior to her board position, Lynn served on QLLA’s ad hoc Marketing Committee and has also been an active member of Quechee’s Women’s Golf League and the Quechee Garden Club. She is now the board liaison to the Fitness Committee. Lynn recently got hooked on paddle tennis and along with Donna, enjoys many of the Club’s amenities from regular fitness classes to cross-country skiing, and hiking the trails with their 11-year-old yellow lab, Gloria. While on the Marketing Committee, Lynn was instrumental in gathering a group of golf and travel media to Quechee and Woodstock in return for media coverage. Some writers had never been to Quechee while others were very familiar with the Lakeland and Highland golf courses. 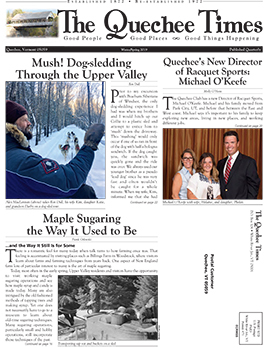 “In the golf industry, Quechee has a phenomenal reputation. It is one of the real gems of New England, and we should be proud of that,” she says. Another marketing project she helped guide was visually showcasing Quechee. Lynn recommended a friend and colleague, Jay Stearns, to direct and produce videos that capture Quechee in its beauty year-round. 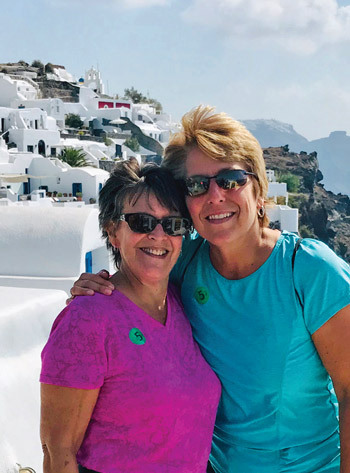 Like most that live in and love Quechee, Lynn and Donna attend many Upper Valley cultural activities, venturing to regular performances at Northern Stage, Shaker Bridge Theatre, and the Hopkins Center. And when it’s time to get away for a day or more, they have found many familiar options.